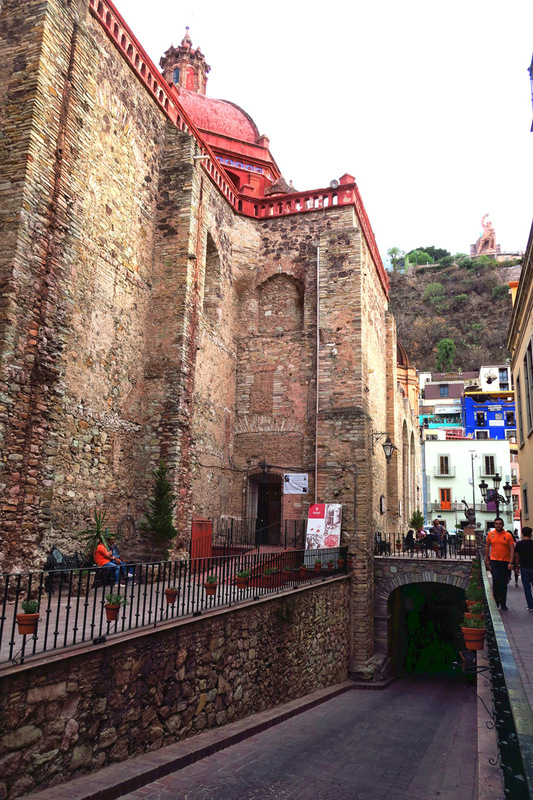 No printed maps, android apps, or TripAdvisor Listicles can help when it comes to easily finding one’s way around Guanajuato. 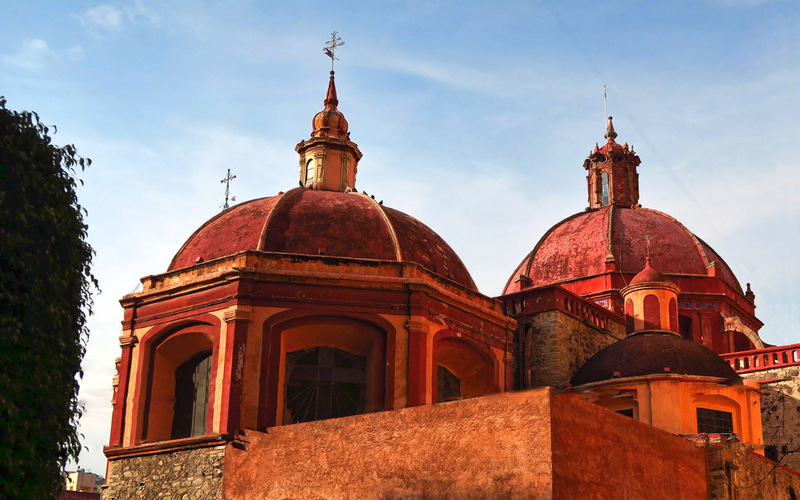 Not even the Lonely Planet guide, which allocates Guanajuato a measly seven out of 896 pages in their Mexico Travel Guide, can be much help. No, it takes lots of insider tips, landmarks, and a few good games of “Estoy Perdido” (I’m lost!) to finally learn one’s way around this crazy city. 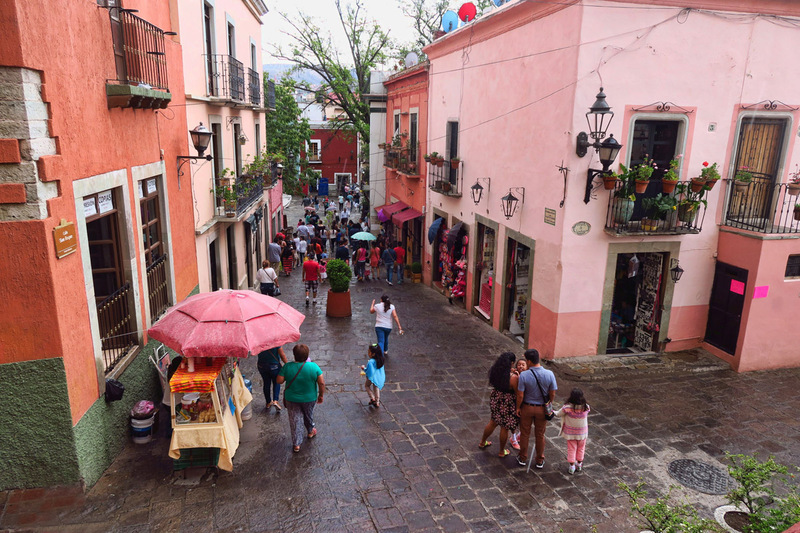 The majority of the city is made up of pedestrian-only streets. 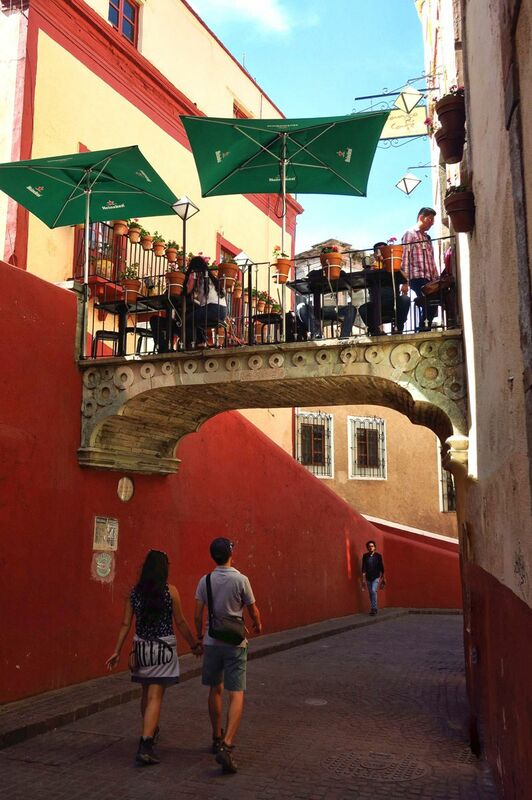 Most callejones lead to beautiful plazas with benches for resting, thankfully! 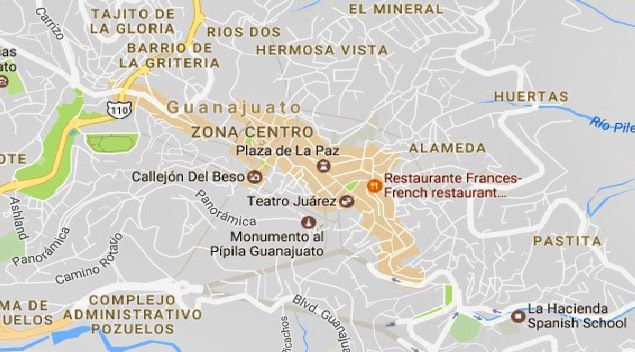 Perhaps no better information resource exists within my own personal realm than my brother Don, temporary but frequent resident and lover of all things Guanajuato. His countless emails on everything from how to pronounce the intersection of the nearest bus stop, to where best to find a cold draft beer have been invaluable. With limited maps and street signs, landmarks like “The Bridge Restaurant” become quite helpful. 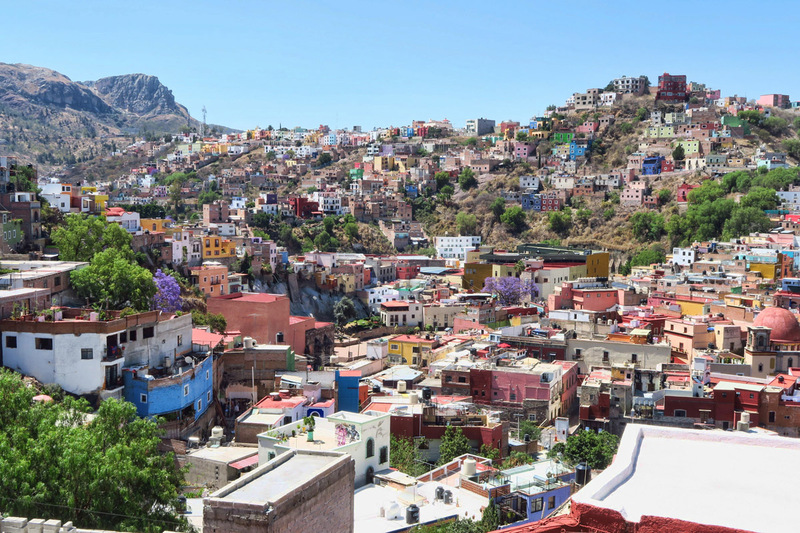 Guanajuato is built on opposing sides of hills that flank a rather steep valley. It’s like a giant bowl, with houses stacked on top of houses until you reach the top of the bowl, rimmed by a road named “The Panoramica.” Take a look at this map for an idea of what it’s like to find one’s way across town. It would be a week before I stopped turning on my “Map My Hike” app to be able to find my way back home. 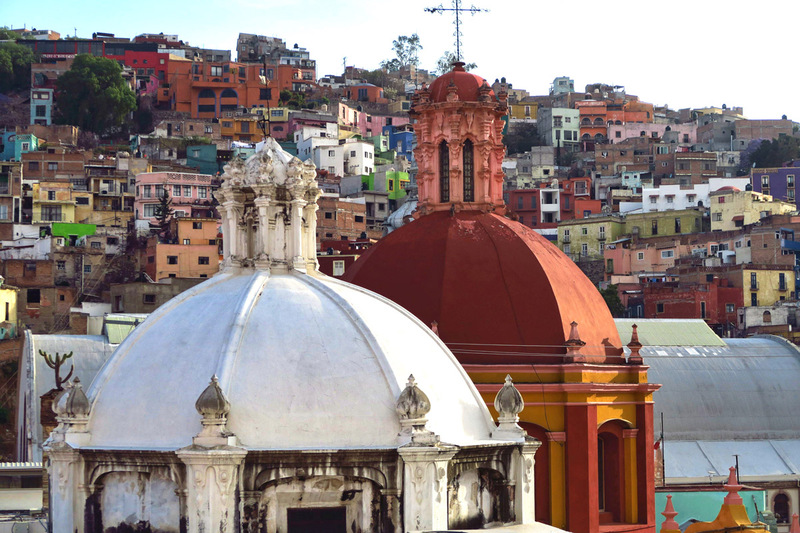 Another notable landmark is “La Bufa,” a bluff overlooking the city. There is a hiking trail up there, but I haven’t made it up yet. 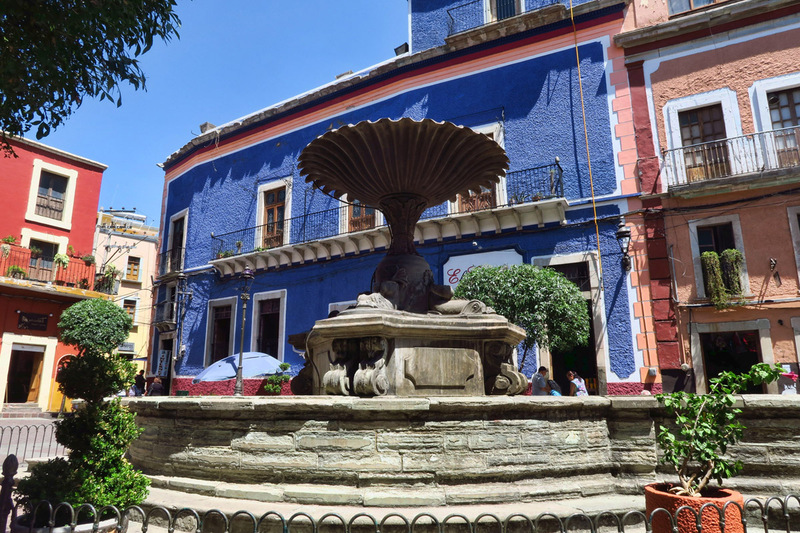 Another place for resting, Plaza Allende. 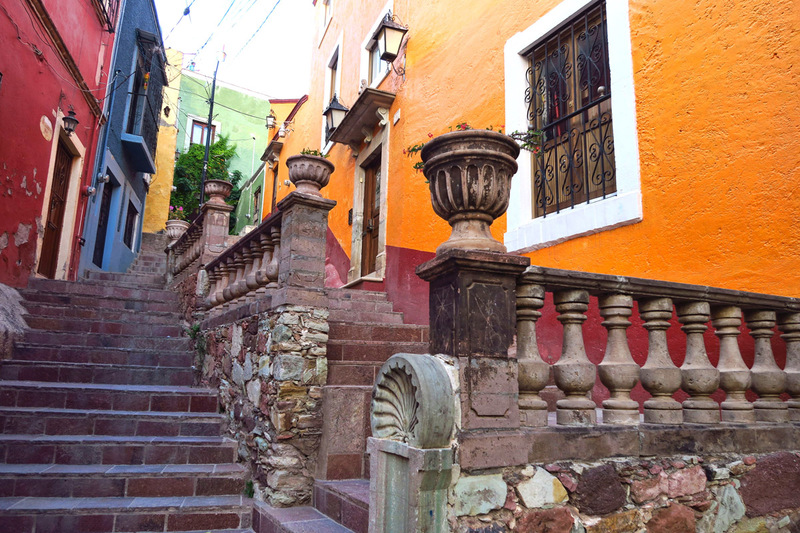 This is such a beautiful little street between San Roche Church and Plaza San Fernando. 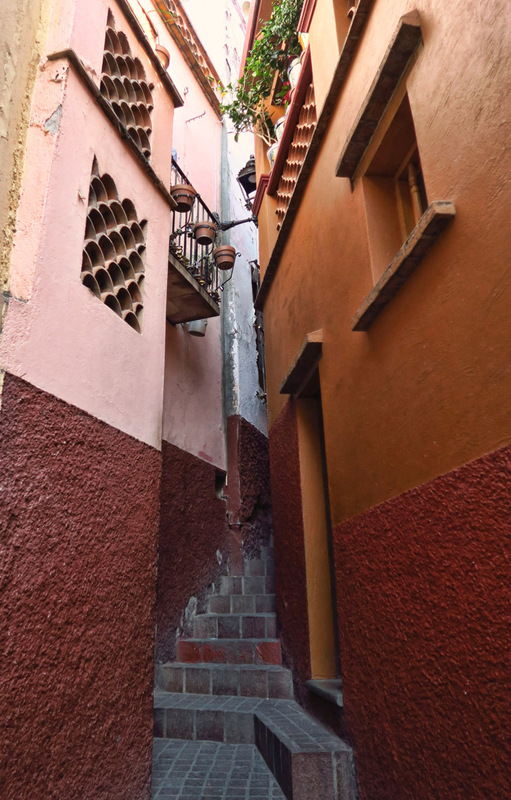 Narrow “callejones” or alleyways empty down from the Panoramica to the bottom of the valley, the main avenue of Benito Juarez which twists, turns, and flows like a river of pedestrians. 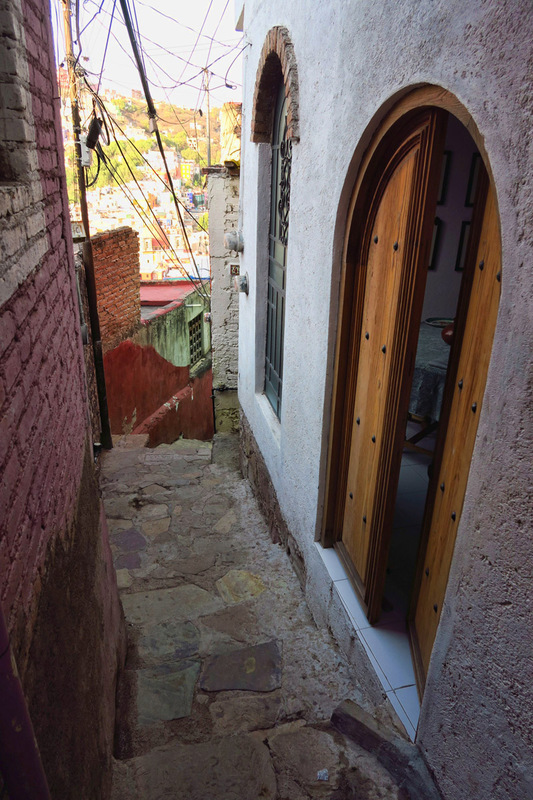 Though it may take a bit of wandering down dead ends, if one keeps heading downhill passing through quaint and hidden plazas, they will eventually reach the main avenue. 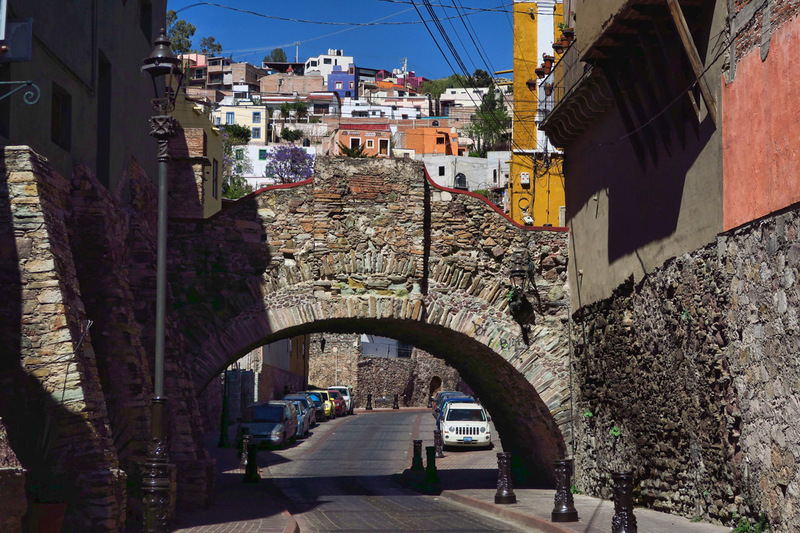 The majority of these streets are pedestrian-only, while cars, collectivos (modern Sprinter vans,) and big belching old style city buses rumble beneath the streets on Guanajuato’s extensive subterranean thoroughfares. This labyrinth of tunnels, once a network of rivers and drainage ditches, was built by the mining industry which began operation in the late 1700’s. Dozens of entrances lead traffic below ground into the tunnels. This pedestrian bridge is the overpass I take to class. 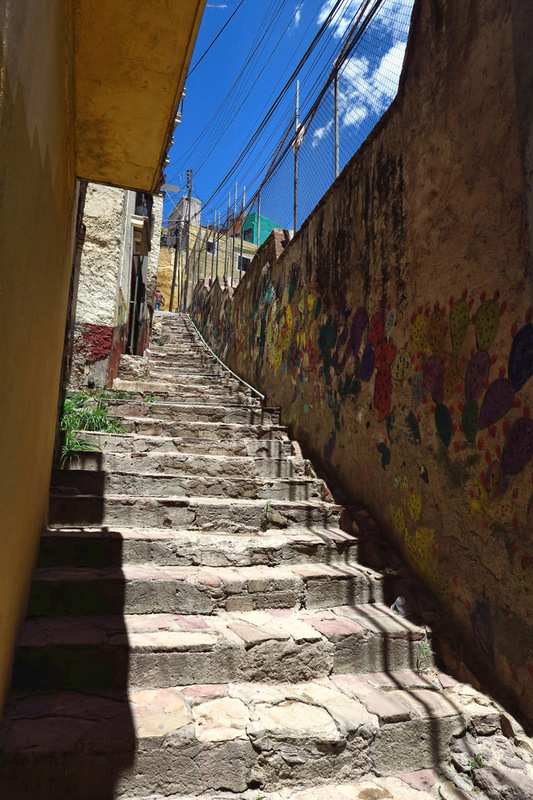 Names of “callejones,” or alleyways, change three or four times, many with amusing names like “Sal si puedes,” (Exit if you can) and my personal favorite, “Perros Muertos,” (Dead Dog Street.) Sad imagery, admittedly, but who can resist a chuckle over the origin of that street name! You rarely see a dog on this street, though you sure do see a lot of dog poop. I think the name must scare the $h*t out of them. 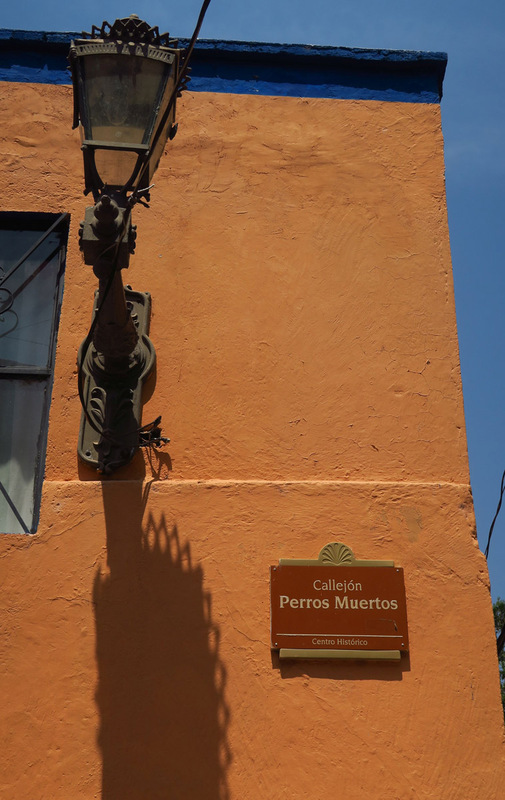 Callejon Perros Muertos, or Dead Dog Street…gotta laugh. The easier section of my daily commute. 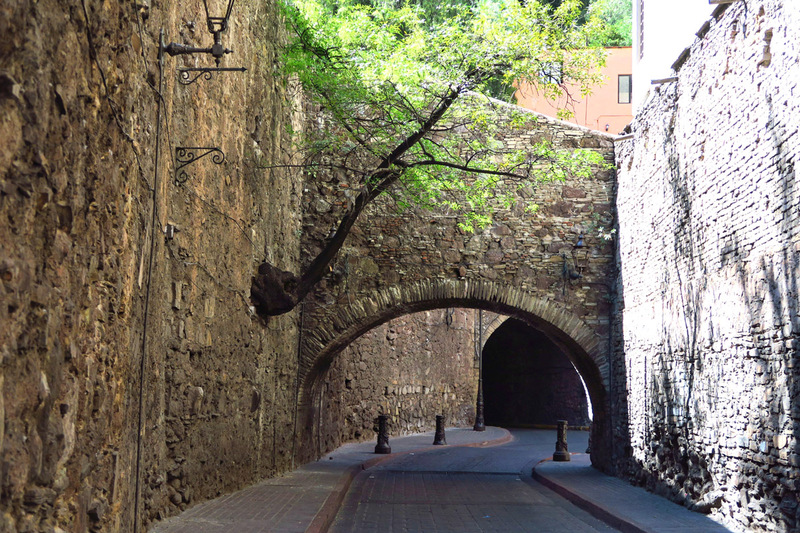 But no callejon is more famous than “Callejón del Beso,” or the Kissing Alley. 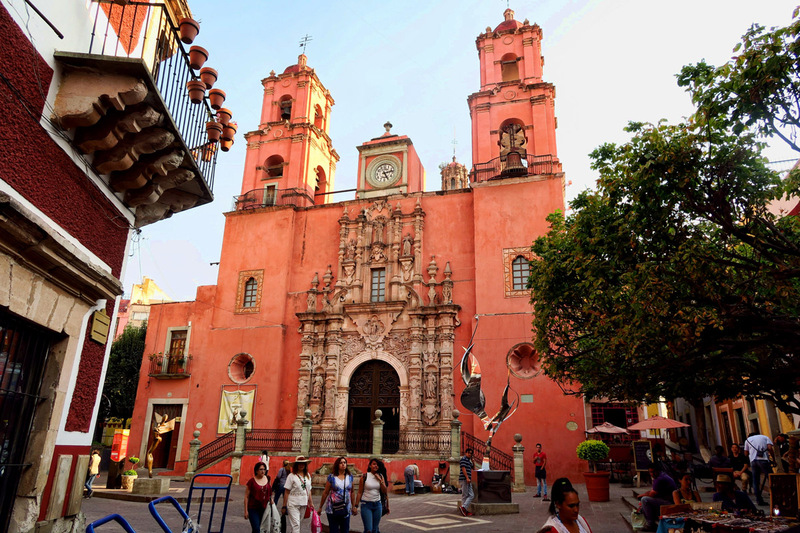 It’s probably one of the most famous tourist attractions in Guanajuato, particularly among the young romantics. 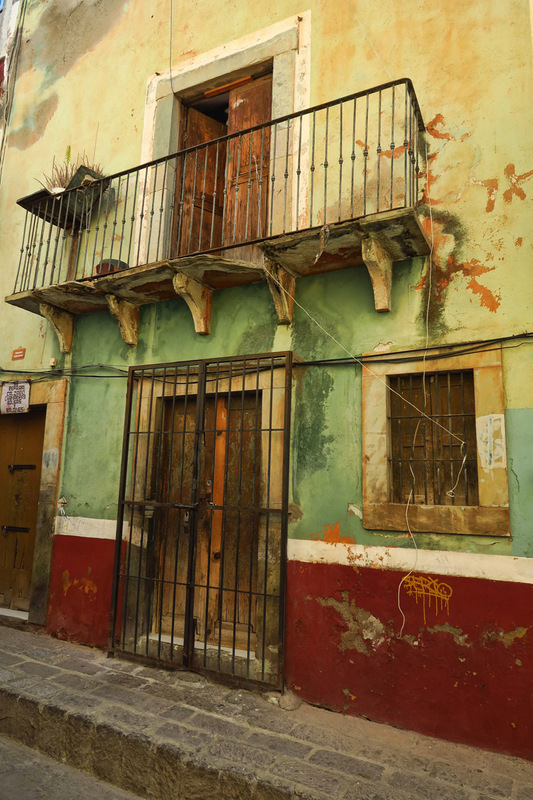 A kiss in the alleyway is said to insure 7 years of togetherness. 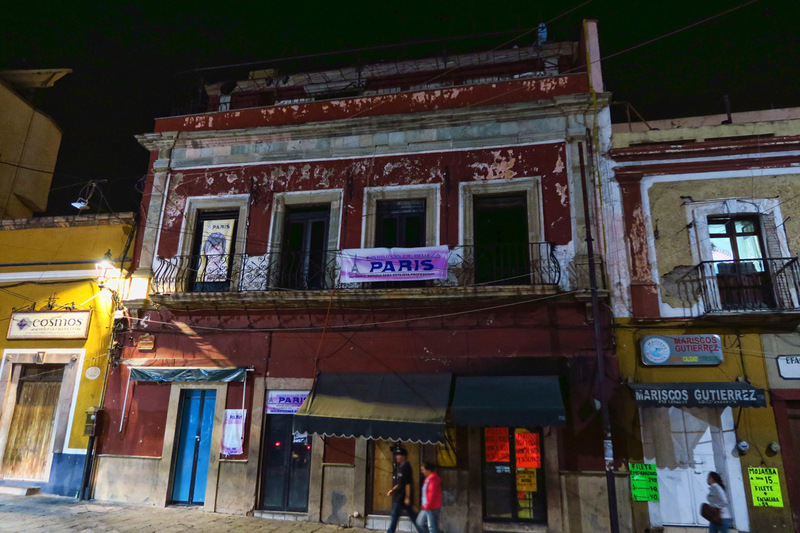 At only 60 inches across, it’s the perfect setting for Mexico’s version of “Romeo and Juliet” with the predictable tragic ending where ill-fated love is extinguished as the secret lovers were discovered. 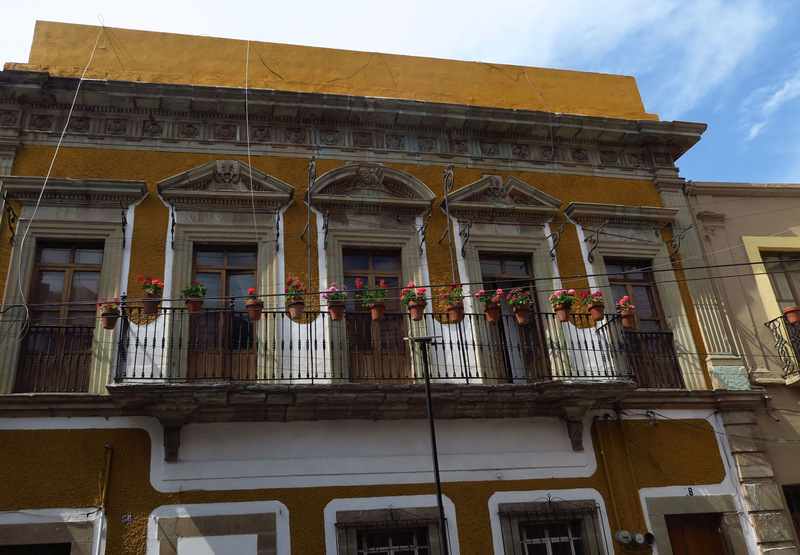 Having disgraced her family, the Mexican Juliet was stabbed by her father while her hand was still clasped in the hands of her lover on the opposing balcony. 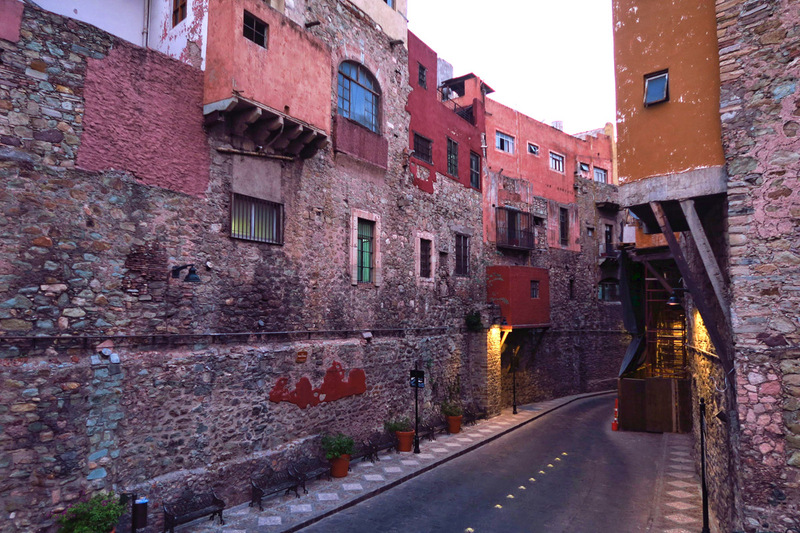 Callejón del Beso, or Kissing Alley. Stand on the red painted step and kiss for seven years of togetherness. It’s taken me a couple of weeks to muster up the nerve to brave the bus system. More advice comes from Don, “Don’t even think of looking for a bus route map or schedule. They don’t exist.” It costs 5 pesos to ride across town, about a quarter. Approximate scheduled stops are scribbled in the windshield in white paint so one can get an idea of the general direction. 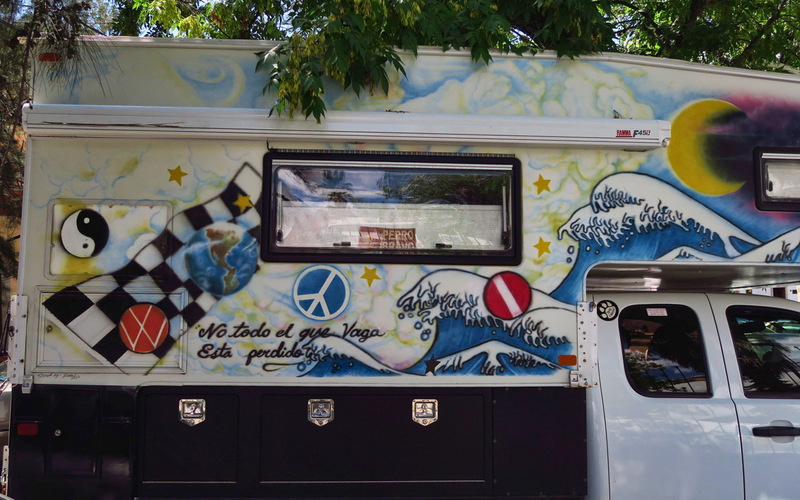 The side of a truck camper, parked on the outskirts of town. 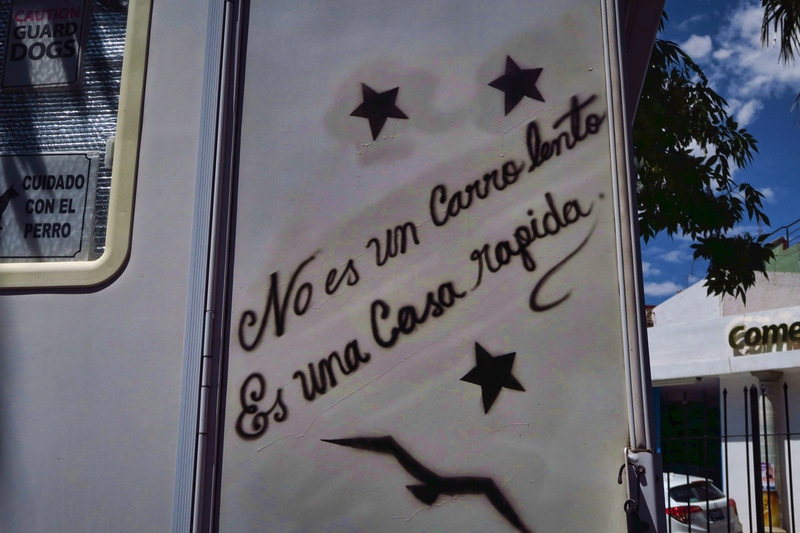 The slogan is Tolkien’s “All who wander are not lost” in Spanish. 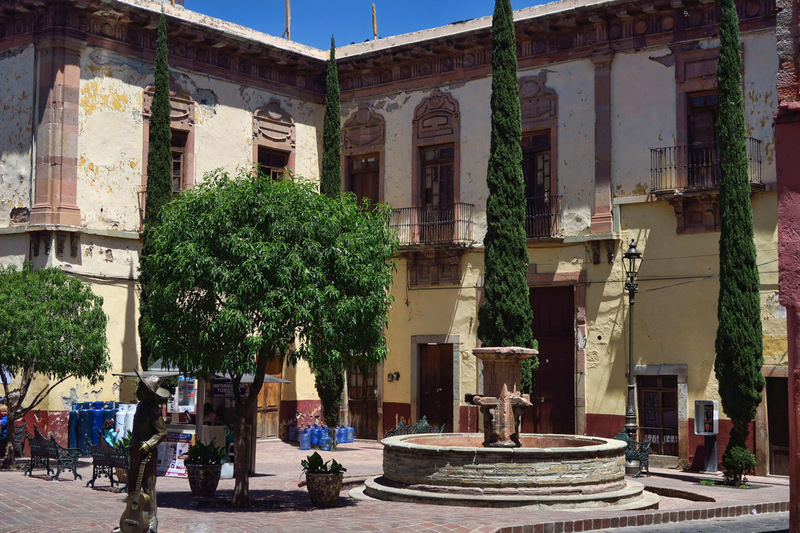 This entry was posted in Guanajuato, Mexico by Suzanne. Bookmark the permalink. So much fun!! Fabulous photos. 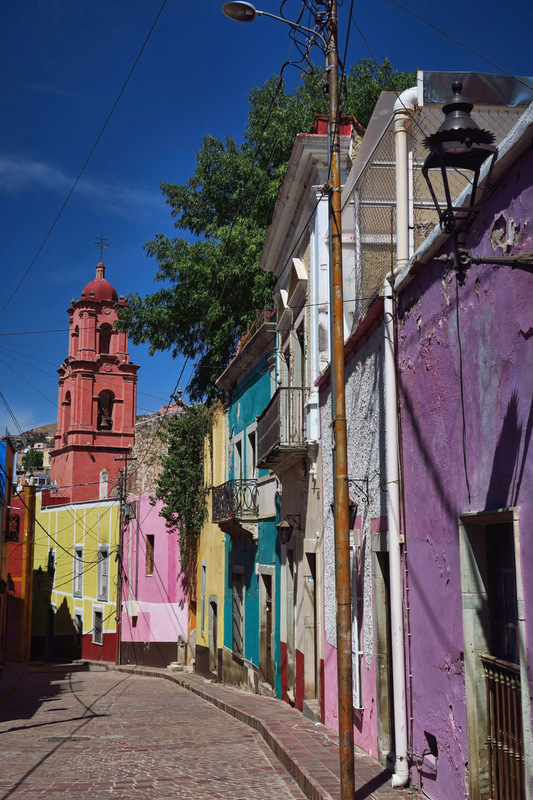 This is Mexico as I would imagine it but had no idea it was real. Thank you. Your post was great. We are looking for a place to live in Mexico. 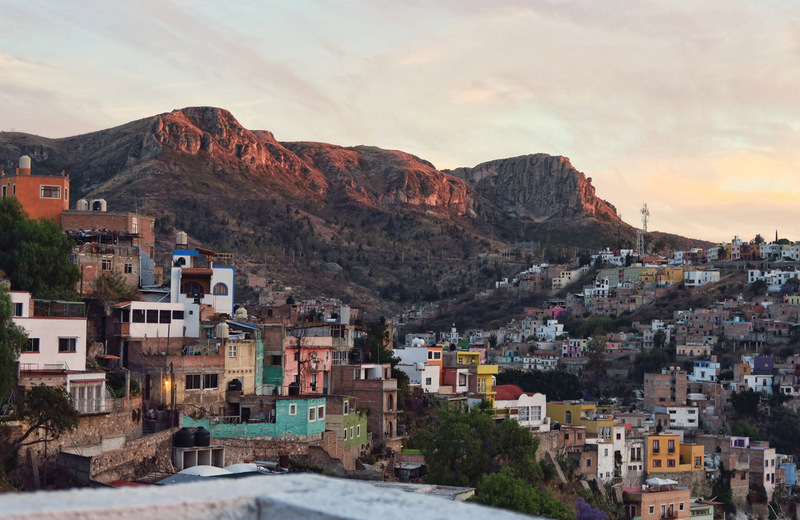 Guanajuato looks so inviting! 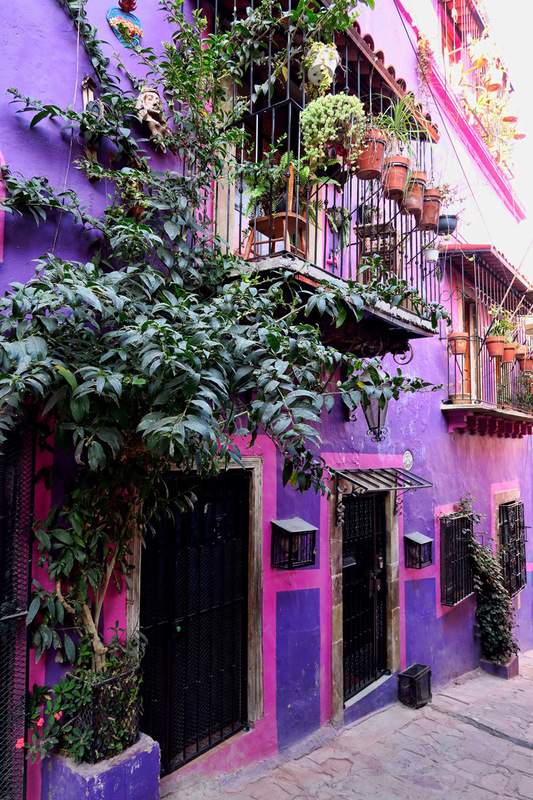 It is just so colorful there, and the great thing is you get your exercise without having to actually set aside time to exercise. I love that last saying on the truck camper! 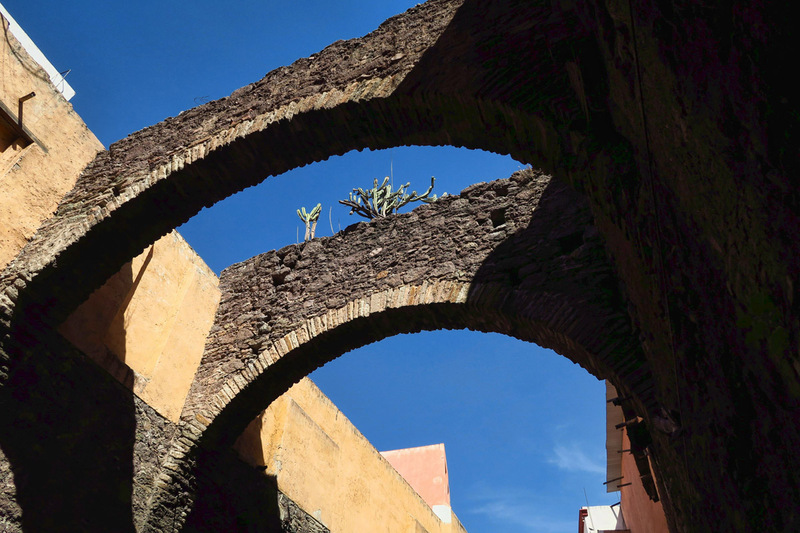 Beautiful photos to and essay comprise your life in Guanajuato. Looks like a place to stay in shape for future hiking on your return. I have been following the blog of “it’s not . . . fast house” for several years! It’s quite a story. Wow you sure are making the most of your time down there, beautiful pictures! Great that you have gotten drawn into the GTO spirit. It is, indeed, a fascinating city. Our favorite. We’re glad you hung in there! What an amazing adventure you are having! LOVE your stories and photos! Wow, the memories this post invoked for me! Lucky girl to be able to entrench yourself in such a vibrant city. 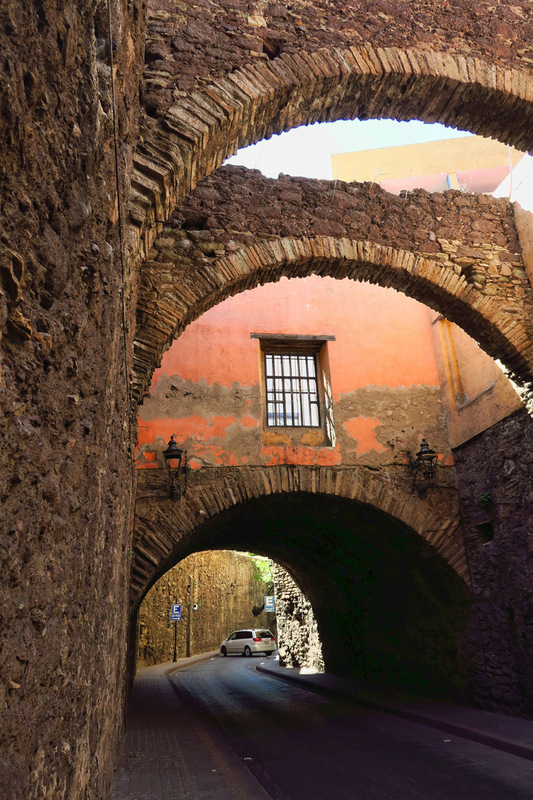 Terry and I have the touristy photo in the Callejón del Beso. Love your photos Suzanne!